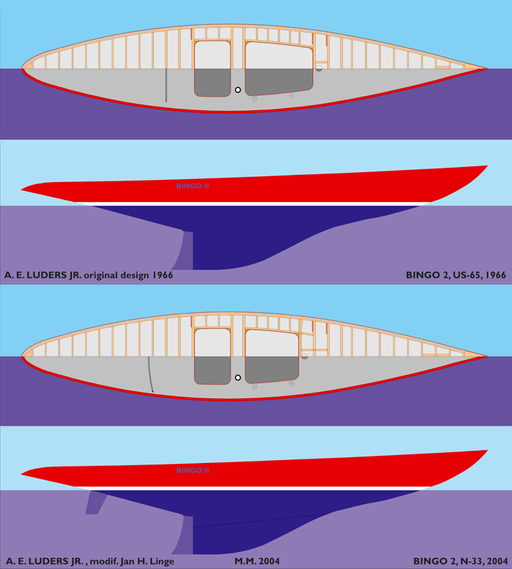 This is a Luders design 1060 model 3129 L5.5#45. First name was meant as Half and Half but was never used (original name is Bingo 2). It was built 1966 by Ontario Yachts in Toronto. The construction is coldmolded wood. A new Bingo (third) was designed 1966 but the building in Toronto was cancelled.